The KT 130 is a 3-D triggering edge finder. This means it can also be used for nonconducting materials. 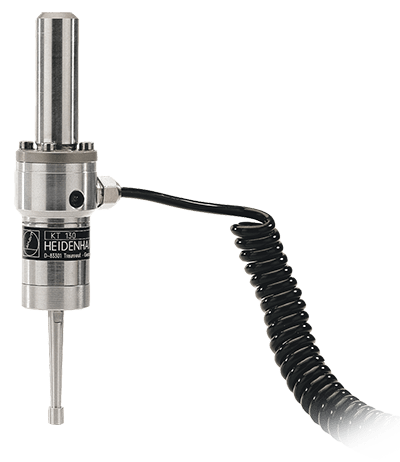 The stylus is deflected when it contacts the workpiece, and the edge finder sends a triggering signal over the connecting cable to the 200S or 300S digital readout or MILLPWRG2. The KT 130 edge finder allows you to set datums quickly and easily, without leaving marks on the workpiece.